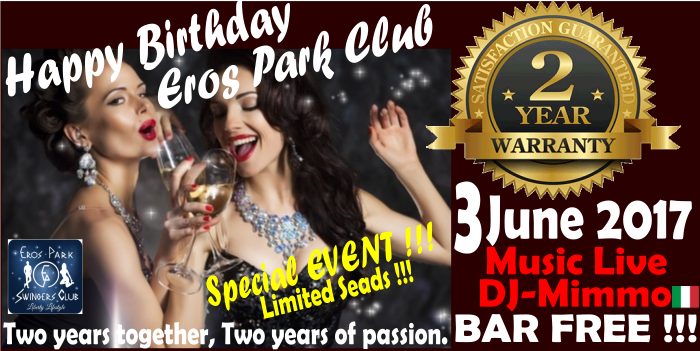 Eros Park Swingers Club Bucharest celebrates two years after opening, two beautiful years we met many people with a mentality open exciting lifestyle who appreciate free, whom we thank for evenings spent together. A fantastic event, elegant and refined that we kick off of the third year! We expect many of you to spend together !!! And as usual surprises will not miss … LIVE MUSIC with DJ MIMMO coming to you directly from Italy. Welcome Champagne Buffet, Cake and Bar FREE for all participants.